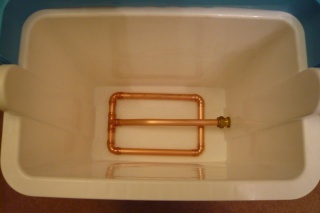 The mash tun is a vessel where the mashing of grains takes place. You add the grains and the water at a specific temperature and then the enzymes in the malted grain get to work breaking down the starch in the grain to sugar to give you the wort. This happens at various temperatures, so the vessel needs to be able to keep the contents at a certain temperature for a length of time (at least an hour). 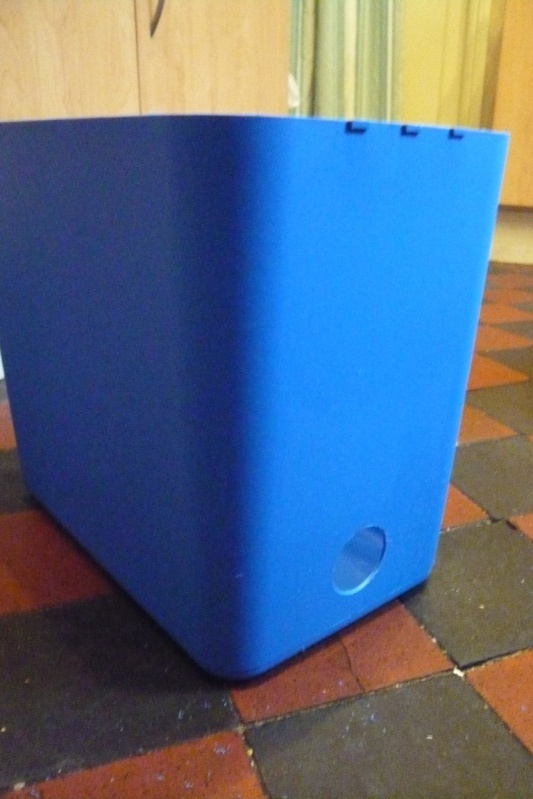 I chose to make mine out of a cheap coolbox :) You can wrap extra insulation around the outside if need be. 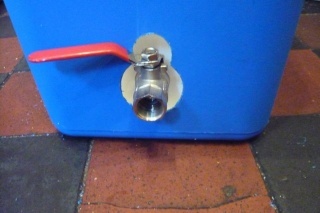 Drill a pilot hole through the inner and outer layer of the coolbox where you want the tap to go. 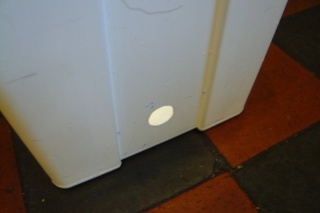 Separate the inner and outer layers of the coolbox and use the holesaw to drill a big hole in the outer layer. Make sure the hole is big enough to accommodate the ball valve pipe and tap mechanism on top - I didn't and had to drill a smaller hole on top of the big one to accomodate it. 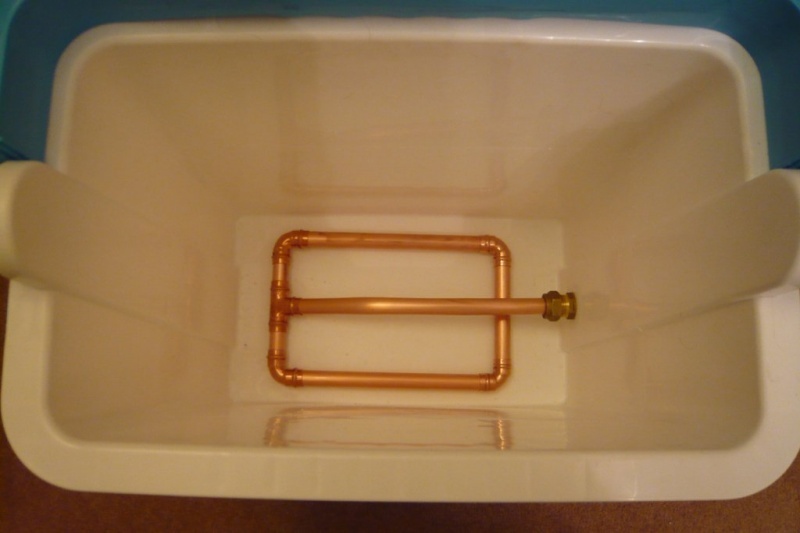 You could also some kind of pipe extender to move the tap outside of the outer layer. Next drill a smaller hole in the inner layer, just big enough for the 15mm to 1/2 inch compression fitting to screw into. I used a big drill bit and a round file to get the right size (there is either a hair or a giant spider that I didn't notice stuck to the top of the inner layer at this point judging by the photo). Put the inner and outer layers back together remembering to reinsert any polystyrene that went in between. Screw the 1/2 inch thread of the compression joint into the hole so the 15mm compression fitting is on the inside, then screw the ball valve to the thread on the outside. Next, make the strainer to go in the bottom using the 15mm pipe and connectors. I squeezed the ends of each pipe section gently with pliers so its a firm push fit, but can still be disassembled easily for cleaning. Use a hacksaw to cut slits every 1cm or so on the bottom of each section of pipe so the wort can get out but the grain cannot. 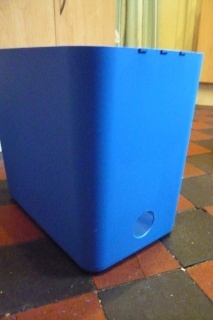 Put the strainer in the bottom of the coolbox, connect the outlet pipe and tighten the compression joint. Finally, add the spacer piece of pipe and right angled connector to the outside of the ball valve. 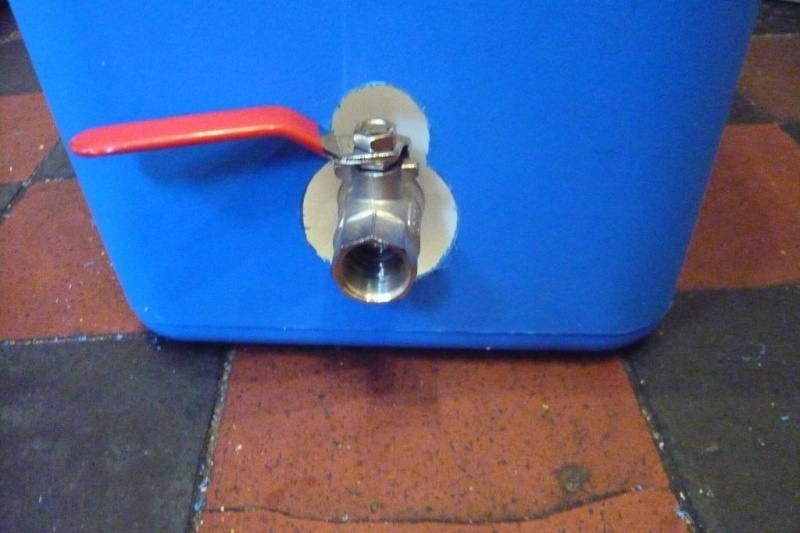 This should make the tap outlet below the level of the strainer outlet pipe and help create a sort of siphon effect to reduce the amount of dead space in the bottom of the mash tun.